RARE serial #160! vintage 1921 Noiseless Portable Typewriter with case original! 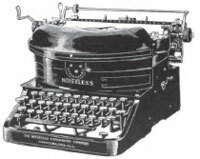 The Noiseless typewriter was invented by Wellington Parker Kidder of Jamaica Plain, Massachusetts, who had already achieved success with the Franklin and Wellington. 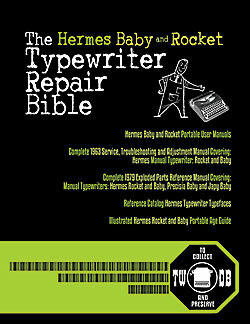 Kidder began collaborating with Charles Carrol Colby, a Stanstead, Quebec Canadian investor and promoter, in 1896 to develop a noiseless typewriter using the "pressure print theory". Colby previously had promoted the Wellington overseas and established successful manufacture of that design with Empire in the U.K., and Adler in Germany. Between 1896-1903 Kidder and Colby worked mainly on other commercial ideas like pneumatic saws, bark-scrapers and even a brief flirtation with automobiles, forming the Kidder Motor Vehicle Company, building steam motors in New Haven, CT. before failing in 1903. 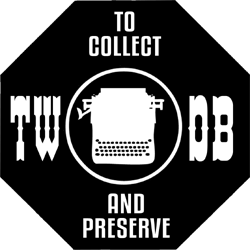 After 1903, Kidder returns to the noiseless typewriter idea, but Colby is in poor health and suggests Kidder find a new partner. Kidder then partners with Buffalo, NY buisnessman George Matthews and W. C. Ely, who fund the creation of Parker Machine Company. After the sale of Noiseless to Remington in 1924, Kidder attempts one last design before his death; the tiny Rochester. Platen Diameter: unknown, Composition: Steel, without rubber covering. 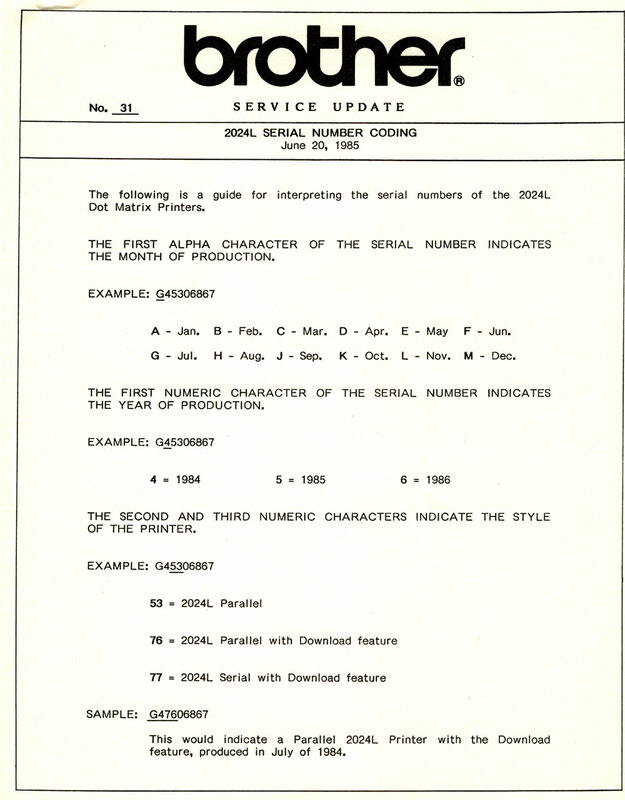 Serial Number Location Standard: On a plate, right side, top under right end of carriage. Portable: on outside of rear frame, at bottom, center. Ribbon/Inking Standard: bichrome 1/2" ribbon. Portable: single-color 7/16" ribbon. Serial Number Location: Standards: On plate on right side top, under right end of carriage. 1904 A model of the Noiseless design is taken to the Parker Machine Company in Buffalo, NY to be made ready for production. 1908 Parker Machine Co. becomes Silent Writing Machine Company of New York by recapitalization ($750,000) and exchange of securities. Autumn, 1908: Silent Writing Machine Co. enters negotiation for purchasing the former Eisenhut Horseless Carriage Co. factory in Middletown, Conn. Contract is completed Dec. 31, 1908 and organizes Noiseless Typewriter Company of Conneticut to manufacture and sell the Noiseless design in the Western Hemisphere. President: W. Caryl Ely. "Cam Action" 1909 A factory is established in Middletown, Conneticut. 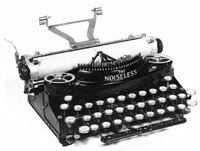 Noiseless Typewriter Company is incorporated. Design refinement continues, but now major tooling is begun for the Model 1 Noiseless under the direction of Edward Clark. 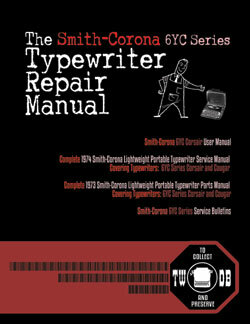 Model 1 runs serial numbers 1 to 2000. 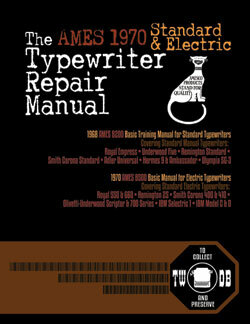 1-2000 1910 The 1924 ADBM suggests that Model 1 ran to #5000 and Model 3 began at #5001 and ended at #12300. 1913 Feb 14, 1913: New action called the "momentum accumulator" designed by Nils H. Anderson. October 1913: Noiseless is in financial distress due to "Cam Action" fiasco. 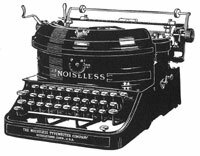 December 1913: The Noiseless Typewriter Co. reorganizes, Joseph Merriam becomes president, but soon cedes to C. W. Colby. Redesign engineering by Nils Anderson and William Lorenz, and newly-recruited engineers George Gould Going and James Ruin. W. P. Kidder and Edward Clark parts ways with the company. 1914 Feb 1914: E. J. Sheehan appointed General Sales Manager. June 1914 to March 1915: factory tooling construction for Noiseless Model 3 design under direction of factory manager J. A. Ruffin. 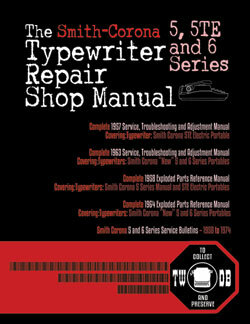 10026-11000 1915 Model 3 begins March 15, 1915 at serial #3/10026 - 6,574 Manufactured. Sales offices at Postal Telegraph Building, 253 Broadway, New York City are opened, but supply is such that only local distribution is pursued. By the end of 1915, the design is finalized and sales price set at $135. 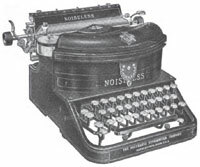 11001-13000 1916 Noiseless Typewriter Co. begins General sales distribution and recruits foreign agencies. 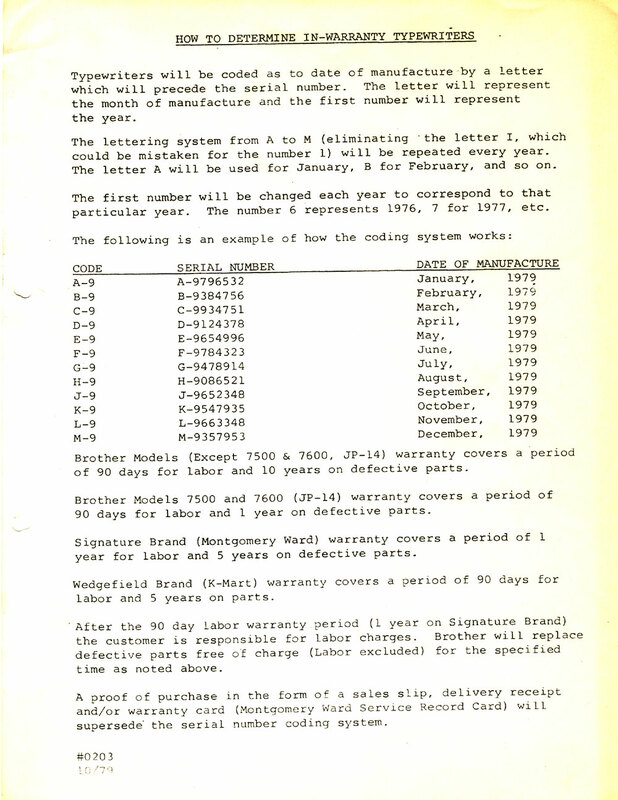 13001-17000 1917 Model 4 begins in Oct 1917 at serial #4/16600 - 52,696 Manufactured. Three bank keyboard with 28 keys and 84 characters. Double toggle action. Single-color ribbon. Cap, Fig and lock keys on left, backspace, tab, Cap, Fig and margin release keys on right. Steel platen roll begins, low paper table and high, nickled paper rest. Noiseless establishes agencies in France, Italy, Holland, Spain and Egypt. 24001-35000 1919 The Noiseless Typewriter Co. grants employees a 10% wage increase and reduces working hours from 54hrs/week to 50hrs/week. George Gould Going, formerly factory superintendent, is promoted to Works Engineer in the Experimental Department to perfect his noiseless portable design. Arthur Jenner becomes superintendent. Dec 1919: Noiseless declares first dividend of 2% on common stock, paid to stockholders on January 2, 1920. Aug 1922: Noiseless begins "Factory Rebuilt" program, rebuilding machines in the Middletown factory under the direction of Garrett S. O'Dell. 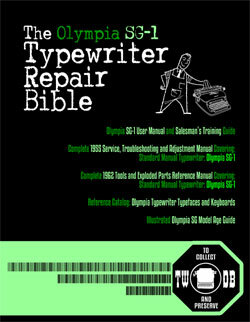 Three-row 30 key keyboard with 90 characters, bichrome ribbon, backspace, tabulator and key tension adjustment. 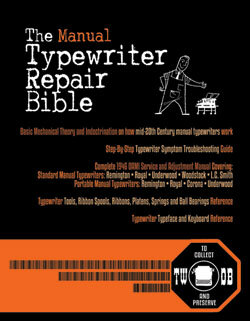 Carriage mounted on ball-bearings, takes paper 10.5" wide with a writing line 9.5" long. Full drop speed escapement, 1/2/3 linespacing. Left and right margin stops. variable line spacer. Right and left-hand carriage release levers. Steel platen roll. Cap, Fig and lock keys on left, backspace, tab, Cap, Fig and margin release keys on right. Ribbon bichrome selector on right front, with "upper" and "lower" settings decaled. Smaller front "Noiseless" decal. $135.00 - 10" carriage, paper 10.5: wide, writes 9.5" line. $140.00 - 12" carriage, paper 12.5: wide, writes 11.5" line. $145.00 - 14" carriage, paper 14.5: wide, writes 13.5" line. $147.50 - 16" carriage, paper 16.5: wide, writes 15.5" line. $150.00 - 18" carriage, paper 18.5: wide, writes 17.5" line. $160.00 - 20" carriage, paper 20.5: wide, writes 19.5" line. $185.00 - 26" carriage, paper 26.5: wide, writes 25.5" line. 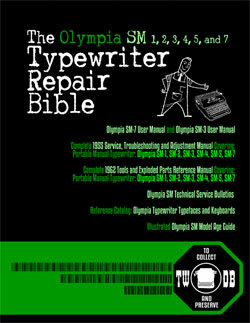 77401-up 1924 March 1924: Remington Typewriter Co. 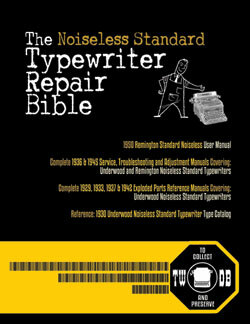 Purchases Noiseless Typewriter Co.
Noiseless Standard production was sold to Remington and remaining inventory becomes Remington Noiseless No. 5. Discontinued Model 5 in Dec 1924. Noiseless Typewriter Co. General Sales office remains open through 1924 at 253 Broadway, New York City. 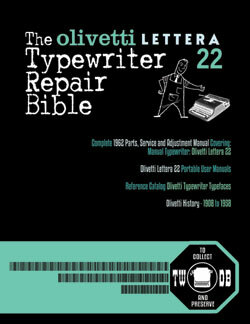 1-200 1921 Developed by George Gould Going in 1908 and introduced in November 1921 at a price of $65. Three row 28 key keyboard writing 84 characters. 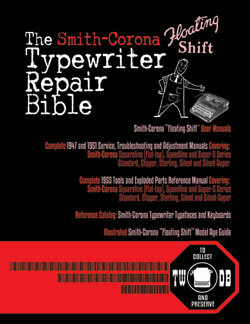 Right and left-hand shift keys with shift lock and release, backspace and margin release keys. Carriage mounted on ball bearings, takes paper 9.5" wide, writing a 7.25" line. Steel platen. Full drop speed escapement, left hand line space lever with 1 or 2 space line advance and ratchet release. Backspacer, right and left margin stops and end-of-line lock. Magin release key. Weight: 6.5lbs without case, 8lbs with case. Case dimensions: 11.25" long, 9.5" wide and 4.75" tall. Portable model discontinued on Remington takeover. Remaining units sold through Remington sales channels. Some remaining 3-bank Noiseless Portables may have been labelled "Remington", similar to the remaining Noiseless Model 5's. 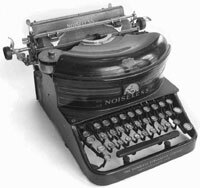 In 1931 Remington releases a redesigned 4-bank Noiseless Portable and also licenses the design to Underwood.